WASHINGTON — When it came time for the U.S. Defense Department to make a decision on which fourth-generation fighter to buy for the Air Force, industrial base considerations — and not acting Defense Secretary Patrick Shanahan — helped tip the scale in favor of Boeing’s F-15X, a senior defense official said Friday. 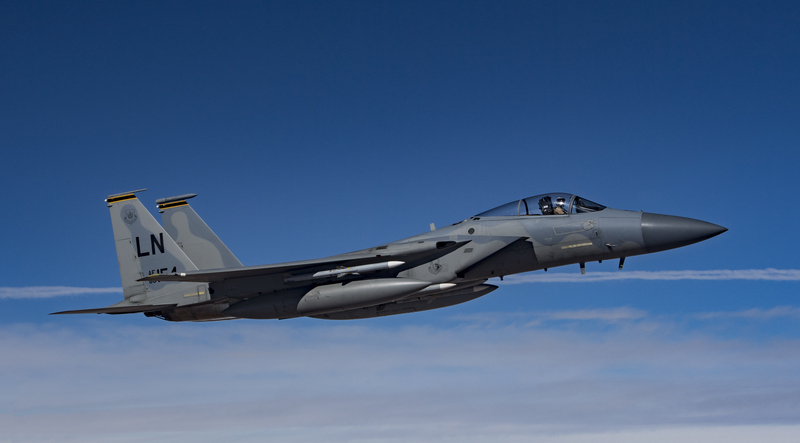 This public acknowledgement of the behind-the-scenes discussions that led to the Air Force’s request for eight F-15Xs in its fiscal 2020 budget comes two days after the Defense Department’s inspector general announced it was investigating Shanahan. The IG is looking into allegations that Shanahan showed favoritism toward his former employer, Boeing, where he was employed for 30 years before being named deputy secretary of defense in 2017. The Bloomberg report that initially broke the news of the F-15X procurement decision cited one unnamed source who stated that Shanahan influenced the process — something Shanahan has repeatedly denied, saying through his spokesman that he had recused himself from all decisions involving Boeing. However, Air Force Secretary Heather Wilson’s own acknowledgement that the service had not wanted to buy new F-15s continued to raise speculation that Shanahan had played a role. The defense official speaking to reporters on Friday denied that Shanahan had any knowledge of when Boeing or any of its platforms was being considered during budget deliberations, though Shanahan was aware that discussions were happening broadly about the optimum mix of fifth-generation jets — like the F-35 — and fourth-gen platforms, which can include Boeing’s F-15 as well as Lockheed Martin’s F-16. “CAPE ran the program budget review” that assessed whether to buy new fourth-gen jets, the official said. The defense official didn’t go into detail about what alternatives it considered or why it chose the F-15 over the F-16. Instead, he spoke more broadly about the need for industrial diversity in the run-up to the development of a sixth-generation fighter. “Maintaining a diverse industrial base is in the best interest of the Department of Defense, not just in the [tactical aircraft] portfolio but in basically any other portfolio as well. So the kind of more diversity we can get there, the more competition we have, the better prices we have,” he said. However, the decision puts pressure on F-35 manufacturer Lockheed Martin to decrease production and sustainment costs. Last month at the Air Force Association’s air warfare conference, OJ Sanchez, Lockheed’s vice president for sustainment innovation and operations, said the company was on track for reducing the cost of an F-35A conventional mode to $80 million per jet by 2020, as well as to meet a $25,000-cost per flight hour by 2025. But Wilson said the company is not making progress quick enough. “We just don’t think that there has been enough attention on the sustainment costs of the aircraft and driving them down,” she said.